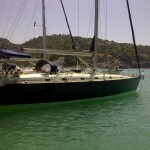 Make a difference to your holiday with a chartered luxury sailing tour from Port de Soller, Mallorca. 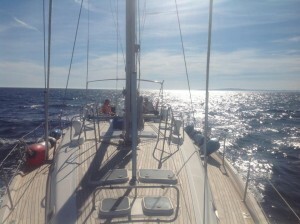 Mezzo Magic Sailing are the perfect company to hire to visit the beautiful coastline of the rocky North West of Mallorca. From Soller, not only will you view amazing coastline but it’s very likely you will see some Mediterranean dolphins as they often play in the boat’s wake and have a look at you. Mezzo Magic can even tailor your trip to suit your needs. 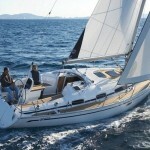 You can sail for just a few hours and enjoy the sea or make a longer tour. Popular tours include visiting one of the many bays and spending time to snorkel or take lunch at any one of the many secret restaurants or both! 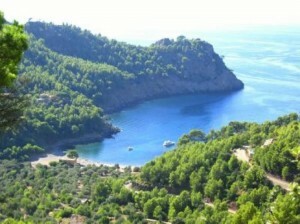 Shared tours enable more people to have the option a boat trip from Port Soller. 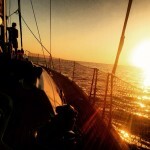 A day aboard one of their luxury sail yachts will leave an unforgettable impression. These trips vary in frequency due the demand and you will need to consult Mezza Magic to guarantee a spot aboard. The 2016 Prices are as follows and include a complementary bar and tour guide. These are just a few possible places to visit, if you want another location or to go further, this can be requested and quoted. when hiring a boat from us. 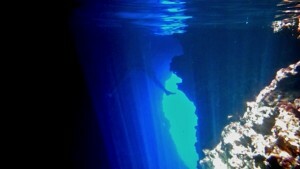 Some regular destinations are: Sa Foradada, Cala Tuent, Sa Calobra and the Secret Blue Lagoon. The Mezzo Magic fleet offers fitting boats and tours for all levels of adventure, from a gentle cruise to a fun-loaded party cruise around Mallorca. 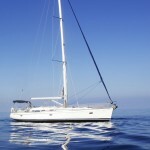 They are able to cater for individuals to large groups up to 60 persons and can offer further boats upon request. The current fleet includes the following vessels: Bebop, Pequod, The Rib and Francessa.